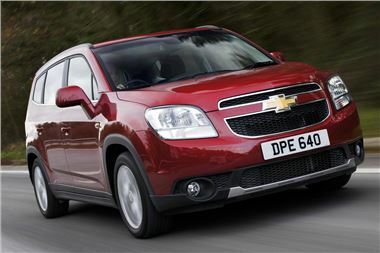 Chevrolet is running some scorching summer offers on some of its most popular retail models, with massive savings of up to £2,000 across the range, including on the new Captiva and Orlando models. There are also some hugely attractive monthly payment contract hire plans, meaning owning a Chevrolet has never been more affordable. Kicking off the unbeatable offers is the popular Spark 1.0+, on offer at £6,995 including a standard five-year warranty, a saving of £1,700 against list price. The 1.0+ comes with all the essentials, including air conditioning, electric front windows, a CD Radio with USB connection and a punchy 68PS 1.0-litre engine coupled to five-speed manual transmission. Monthly personal contract hire prices start at just £117 a month. There are also some astonishing deals available on the award-winning Orlando. Already renowned for offering tremendous value for money, the striking seven-seat MPV is on offer in 1.8 LS form for just £14,995 - £1,415 below list price. On personal contract hire, monthly payments are from only £239. What’s more, the Orlando LS is supremely well-equipped, with Electronic Stability Control as standard, plus six airbags, air conditioning, remote locking and the Orlando’s trademark flip-front stereo, with secret cubby hole – a feature described by one prominent motoring magazine as ‘So clever, we don’t know why every car doesn’t have it’. Those looking for an even more purposeful vehicle can benefit from savings of up to £2,000 on the new seven-seat Captiva Sports Utility Vehicle. With summer savings bring the price of the 2.2 LT down to £25,695. That’s incredible value for a full-size SUV, complete with an all-new 184PS common-rail diesel engine, Electronic Stability Control, climate control, 17-inch alloys, front fog lamps and an electro-chromatic rear view mirror as just part of its standard kit. Monthly repayments via personal contract hire start from just £372. All of the above offers, plus wide savings across other models in the Chevrolet range, are available from participating retailers until September 30, 2011.